Donald Duck/Uncle Scrooge comics have long been some of my favorites, and next to the master of these characters, Carl Barks, Don Rosa has always been a close second as a creator whose work I loved, and one of the first cartoonists whose name I recognized. That means I'm very glad to read this collection of his earliest duck comics; however, reading these as an adult, while they're still very enjoyable, they don't quite meet the level of perfection that I thought they did when I was a kid. Having read a number of the classic Barks comics in recent years as Fantagraphics has been releasing them, I now notice just how fannish Rosa's work is, packing in as many references as possible to Barks' stories, dialogue style, flourishes of motion and emotion, incidental characters, and even background gags and bits of detail. It's a bit off-putting; Rosa's work is good enough to stand on its own, but he's so slavish to not just Barks' style, but even his actual stories. Characters regularly mention their previous adventures, flashbacks take place in and around various Barks stories, and some stories are even sequels or follow ups to some of the classics. 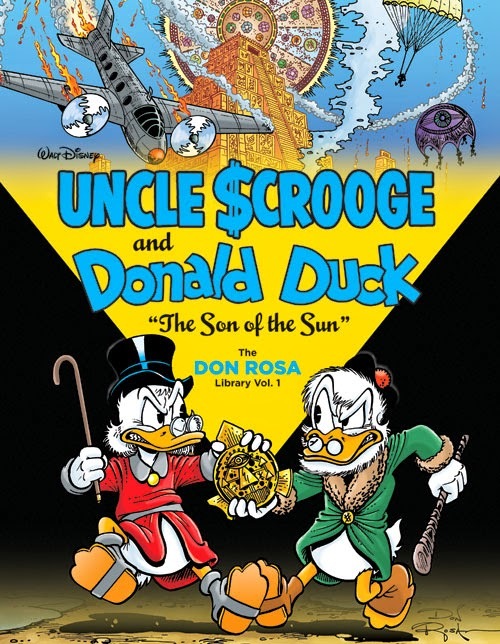 Rosa would take this to an extreme a few years later with his The Life and Times of Scrooge McDuck, a biography of the character that is entirely based on things mentioned in Barks' comics, but even at the beginning, it's a crutch he leans on quite a bit. 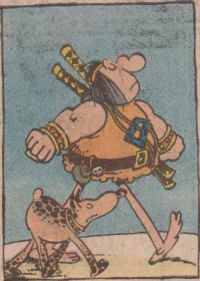 To be fair, many of the reasons for this fannishness is explained in the volume's supplementary material, as Rosa describes how his entry into the world of professional cartooning basically arose from his work creating fanzines for the duck characters, and without any formal art training, he basically came to his particular style from copying Carl Barks. Given the chance to create official duck comics, it's only natural that he would try to build on the creations that his hero did so well, and he never claims to do anything but create stories that are reverent of what Barks did. He even explains his philosophy, stating that even though plenty of other creators have made duck comics, he only considers Barks' stories to be canonical, and he even insists that they all take place during the 50s, in order to keep the timeframes realistic (otherwise Scrooge would have to be upwards of 150 years old). 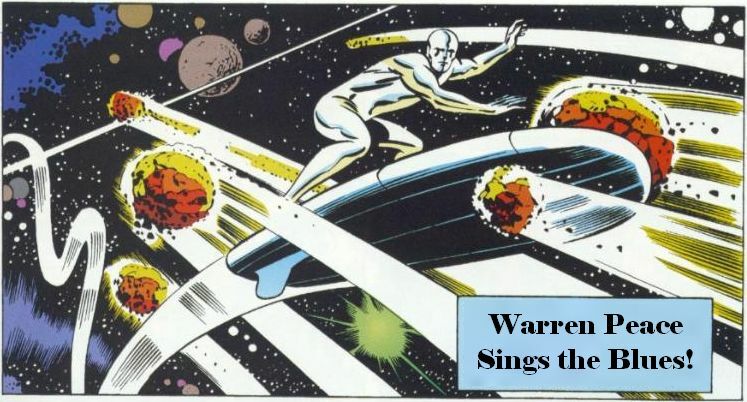 It's an odd, interesting ruleset that he defined for himself, but hey, that's apparently what floats his boat, and even in these earlier, somewhat rougher comics, it's obvious that he has storytelling energy to spare, so why not spend some of it cramming in references and details that only die-hard Barks fans will get? And while I'm pointing out the shortcomings of decades-old work that even its creator says he cringes to look at, I don't know if Rosa had an especially good grasp on Donald Duck's character in these early stories. He doesn't quite manage to capture the "everyman" essence of Donald that Barks imbued him with, and he often comes off as petty, violent, and prone to fits of anger (which actually makes him more in line with the portrayal of Donald in pretty the Disney cartoons where he was more likely to throw tantrums at Chip and Dale than hold down a job or have rivalries with his annoying cousin Gladstone). It's weird, and kind of strange, especially considering Rosa's devotion to Barks in every other aspect of his stories. I love this sort of thing, and seeing it paired with Rosa's intense devotion to Barks only highlights it as a unique area in which he may have been better than his idol. I wish he had spent more time on this sort of zaniness and less on working in Barks' margins (which can also be fun, but I'll take originality over nostalgia any day). But I can't fault the guy for doing what made him happy, and I'm excited to read the coming collections of his comics and experience his continued growth as an artist and storyteller. Now I'll just have to wonder when William Van Horn will be getting his fancy hardcover library?